There are not enough superlatives in the world that would let me aptly describe Once Upon a Time In Anatolia. A Grand Jury prize winner at Cannes, the sixth feature from Turkish auteur Nuri Bilge Ceylan is a deeply involving existential crime-drama. Both bleak and beautiful, the picture is just so rich, the words so stunning and the acting beyond comparison. At it’s crudest, Once Upon a Time In Anatolia is a film about redemption, mercy and misery. It starts at dusk, with a group of men venturing into the Turkish countryside to find the body of a murder victim. It’s an odd group, comprised of a police chief and his officers, a public prosecutor, a doctor, some diggers, guards, the confessed killer Kenan (Ferat Tanis) and his mentally challenged younger brother, Ramazan (Burhan Yildiz). Driving across the barren landscape, Kenan is awfully reticent, unable to recall the exact place where the body is kept. He also doesn’t seem like the conventional killer: timid, polite he’s even reduced to tears on three separate occasions throughout this torturous night. Whether they are tears of regret or genuine sorrow is up to the audience to judge. The night drags on into dawn, and the men grow increasingly frustrated. Taking respite in the shanty house of a village mayor during an electrical power cut, the group drop in and out of sleep, haunted by an image of the mayor’s beautiful, candlelit daughter. When morning breaks, the search for a body becomes a hunt for something far more intangible. Beneath the desolation, car headlights, expressionistic shadows and treacherous ravines is the pursuit for masculinity and the buried secrets the men are carrying on heavy, tired shoulders. What’s so striking in Anatolia is Ceylan and his co-writers – brother Ebru Ceylan and Ercan Kesel (who plays the village mayor) – are able to shift so gracefully between profound, poetical dialogue, to the slapstick, the mystical, satirical and the genuinely haunting. Very early on in their pursuit, some of the men irreverently natter in the car about the difference between buffalo yoghurt and cheese; followed by the more prescient, harrowing image of a face carved into rock, a totem of sorts from the ancient tribe who once roamed this squalid land. Even at a staggering 2.5 hours running time, Ceylan has an incredible ability to keep us enthralled and guessing where the film will take us next. Just like Iranian maestro Kiarostami’s Taste of Cherry, and the Coen Brothers’ No Country For Old Men, location in Anatolia becomes it’s own sort of character. With the beautiful cinematography of Gökhan Tiryaki, one of the film’s most memorable moments is it’s smallest: two long takes of an apple falling off a tree, rolling across the desert and floating away down a stream, to the sounds of the Prosecutor and stern police chief arguing. Perhaps it’s symbolism on the brevity of life in contemporary, emasculated Turkey, or maybe it’s just a pretty little aside from the heavy drama elsewhere. Whilst Ceylan is first and foremost a storyteller, his intricate framing makes us look at the world anew, not dissimilar from activist Godfrey Reggio’s visual essays, The Qatsi Trilogy. Subtle framing meets the subtle delights of the onscreen performers. Whilst there is no central character, Taner Birsel is so captivating as ‘The Prosecutioner’; a man trying to document the truth of the murder case, whilst wrestling with the unspoken truths of his past. He’s also very funny too, breaking the dour tone with jokes about how he was once told he resembled Clark Gable. Poetical once again, even as the most distinguished member of the group, he can’t help but wish he were somewhere else other than in this purgatorial situation. Yes, Anatolia is long and moves at a glacial pace, the middle act is confusing and the Turkish political allegory will certainly slip through the brains of the uninitiated (i.e. me). It’s difficult cinema, but why should art cinema be easy? Ceylan has an unmatched ability to render down the audience, to test us, and even lead us to question his own creative intentions. Once we get to the film’s revealing, yet still ambiguous closing moments, he reels us back in, the credits roll, and it’s impossible to deny his genius. Fox Searchlight were quick to nab Another Earth after it won a host of awards at the 2011 Sundance Film Festival. The debut film feature from Mike Cahill, who co-wrote the script with his leading lady Brit Marling, it’s the common story of ‘what if?’. With a distant planet encroaching our own, it is less apocalyptic than Lars von Trier’s visually magnificent depression drama Melancholia, but similarly gruelling and morose. 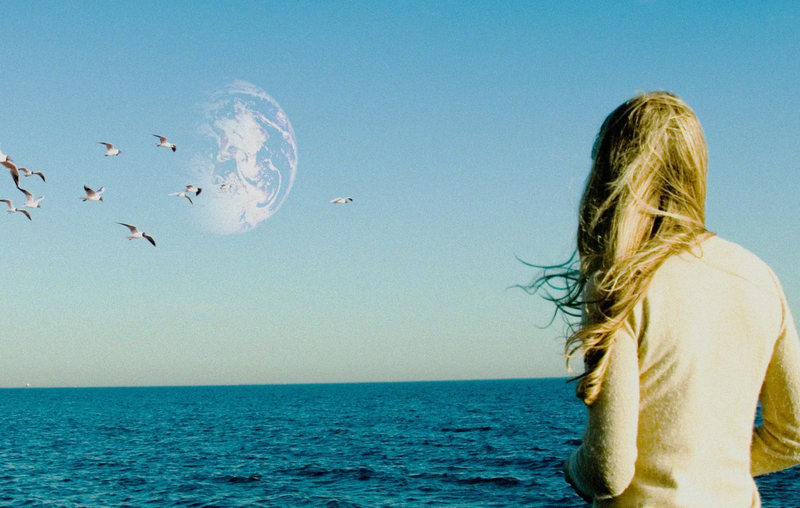 With it’s name and wooly premise, Another Earth is somewhat of a sci-fi maguffin movie, using the extra-terrestial ideas to tell a human tale of isolation and unlikely love. The night a new planet appears in the night sky, a gifted young physicist student Rhoda (Brit Marling) drunkenly crashes her car into a family of three, with a mother and her young son killed. The only surviving is the lonesome dad, John (William Mapother), who gets off easy by being put into a coma. Four years after that fatal night, Rhoda is freed from prison, and wanders the street feeling depressed and lifeless. Lacking the courage to admit her crime to the now alive, and understandably tetchy John (who fails to recognise her for a huge chunk of the film), Rhoda turns into his housemaid and the pair form an unlikely, clandestine bond. With the planet sinking deeper into our orbit, scientists soon realise that it is identical inevery way to our own: it’s a mirror Earth. Rhoda enters a competition in the hope of winning a seat on a Spaceship that is going to fly to the 2nd Earth so that she can escape the misery of her life and start a new one, but what about the love that’s right there in front of her? 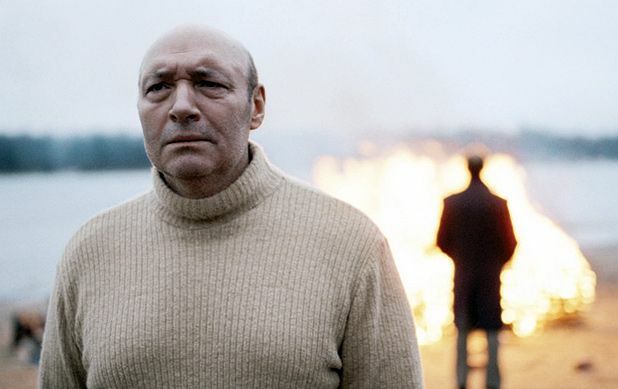 Not only sharing similar themes as Tarkovskiy’s 1972 movie Solaris, Cahill embodies the same filming techniques as the Russian auteur, with intricate focus and close ups mirrored with expansive landscapes. It’s a style that is remarkably assured for a relatively newbie, and proves that, perhaps if he isn’t bogged down with scriptwriting, good prove to be something of a David Fincher-esque figure. The big problem Another Earth arises when it forgets about the other Earth entirely. A problem of tone, tension about metaphysics and a parralel universe builds for thirty minutes, only for Cahill and Marling to push Earth 2 into the background (much like the omniscient moon it is eclipsing), and focus on the complex, subtly Freudian relationship between Rhoda and the man she made a widower, John, only to pull back the science themes as a nice way to tie up the film’s end. Not denying the pair’s acting chops and chemistry but, even to a mere science fiction dilettante like myself, it’s frustrating to see such a drastic shift in tone and the promising, if a little derivative premise go on abused. Topping it all off, the final gotcha! moment is a fanciful cheapshot after the heavy-hearted movie we’ve had to endure. With artistic, slightly sporadic direction, and two very good central performances from the ever-underappreciated Mapother and ‘star in the making’ Marling, Another Earth is an ambitious American indie that just manages to strike a chord, even with some major problems.. It’s a little emo, but don’t let that get you down. In the UK’s art house cinemas right now is this intense and inexplicably uncomfortable Russian film centring around the fluxing relationship between love and death. Listen in for the review, it’ll change your life.